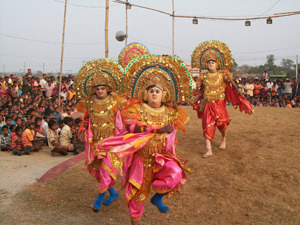 Chhau dance is a tradition from eastern India that enacts episodes from the great epics like the Mahabharata and Ramayana, local folklore and abstract themes. 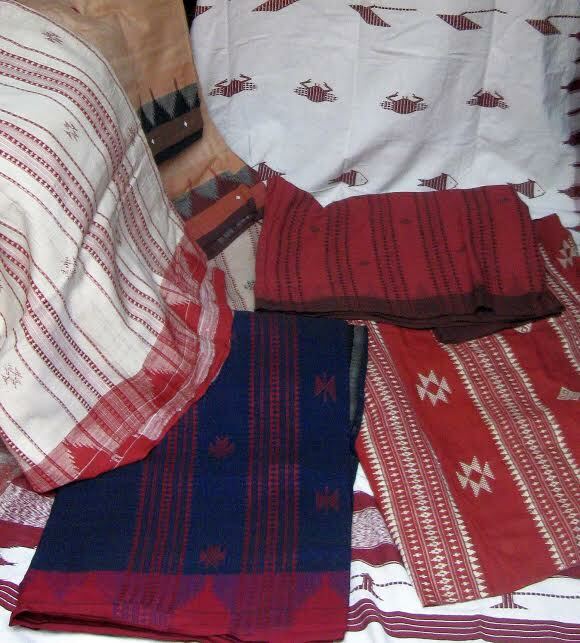 Its three distinct styles hail from the regions of Seraikella, Purulia and Mayurbhanj, the first two using masks. 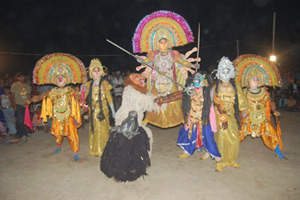 Chhau dance is closely connected to regional festivals, notably the spring festival Chaitra Parva, celebrated in April every year. 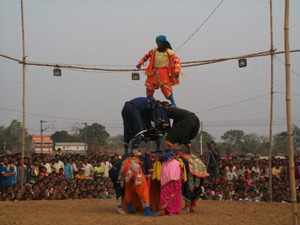 The festival lasts for thirteen days in which the whole community participates. 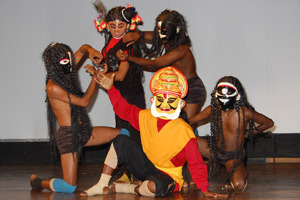 Its origin is traceable to indigenous forms of dance and martial practices. 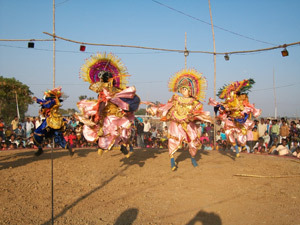 Its vocabulary of movement includes mock combat techniques, stylized gaits of birds and animals and movements modeled on the chores of village housewives. 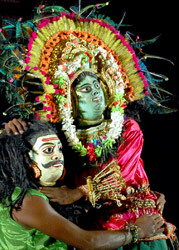 Chhau is taught to male dancers from families of traditional artists or from local communities. 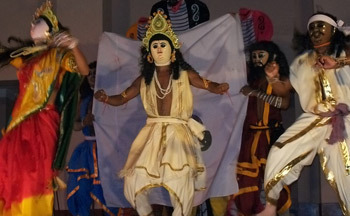 The usage of stylized masks and costumery is an important component of Seraikella and Purulia Chhau dance styles, requiring skilled craftsmanship which is practiced and preserved by its community. The knowledge of dance, music and mask-making is transmitted orally. The dance is performed at night in an open space to traditional and folk melodies, played on the reed pipes with a variety of drums as part of the accompanying music ensemble. 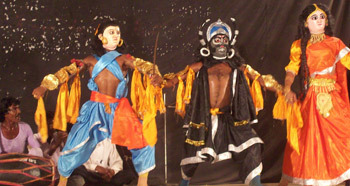 Chhau is an integral part of the culture of these communities. 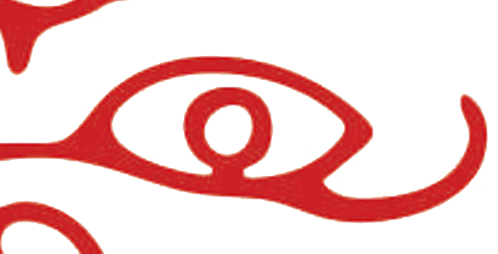 It binds together people from different social strata and ethnic background with diverse social practices, beliefs, professions and languages. However, increasing industrialization, economic pressures and new media are leading to a decrease in collective participation with communities becoming disconnected from their roots. Prevalent in the tribal belt of the bordering areas of the provinces of Orissa, Jharkhand and West- Bengal in Eastern India. 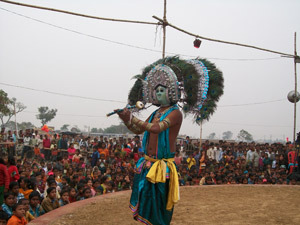 Three ICH domains are represented by Chhau dance – Performing Arts; Social Practices, Rituals and Festive Events, and Traditional Craftsmanship.